A long time ago, I hated reading more than anything else. I had tried different series, but there was nothing that really sparked my interest. That all changed when a friend challenged me to read a book with her. That afternoon I went home with my school’s library copy of The Hidden Staircase and started reading it that evening. I was hooked right away and ended up staying up way past my bedtime in order to continue reading. I finished the book in a couple days and actually finished it before my friend did. That was the turning point for me. All of a sudden I was reading every Nancy Drew book, and once I made it through the original series, I turned to the spinoff series and the Hardy Boys. I read only those books for a solid four years, but that was enough for me. I enjoyed these books more than anything and didn’t care that my friends had moved on. When I hit Jr. High, I switched schools and made new friends. One of these friends begged me to read her favorite book series, Ally Carter’s Gallagher Girls, and I did and loved them. These books are what started me on the YA path. When I hit high school, I read through Harry Potter and The Hunger Games. I didn’t really read too much sophomore year, but my Junior year, my best friend let me borrow her copies of The Mortal Instruments and The Infernal Devices series. After I read through those, she kept recommending more books for me to read, and I eventually started finding my own books and recommending them to her. Now, reading is one of my favorite pastimes, and I have this blog that I love so dearly. The YA community I am now a part of is the best, and I am even studying at college right now so I can work in book publishing in the near future. 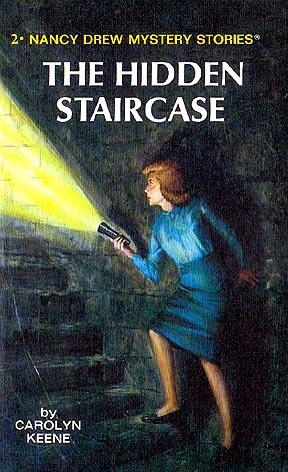 So I just want to say thank you, Nancy Drew. You changed my life, and I will be forever grateful.